Oh, boy do I love hidden gems. And boy do I love late night bites. Well, I found both in one restaurant. The place is called Benkei Ramen, and it is a ramen joint that operates inside the sublime sushi joint Ushiwakamaru, starting at 12:30am, til 4am, Tuesday-Saturday, and on Sundays, 5pm-12am. Yes, that's right a restaurant within a restaurant, open past midnight. Jackpot! The thing about Benkei Ramen though, besides the odd location and hours, is the fact that, the ramen here, could very well be the BEST ramen in NYC! Exclamation point. I stopped in last week at around 2am, and started with some of the best steamed gyoza I have consumed. 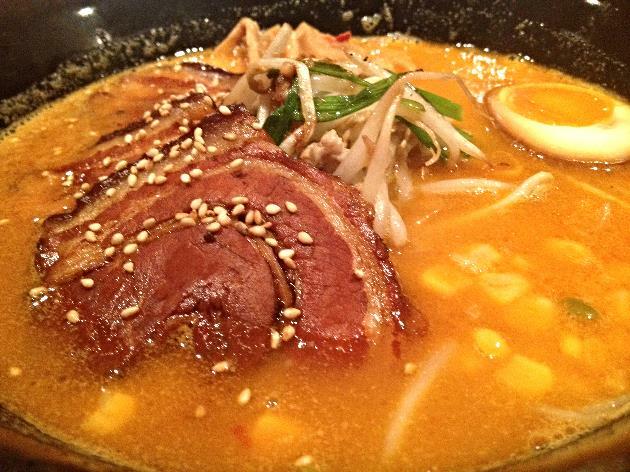 I then moved onto their spicy shoyu ramen. 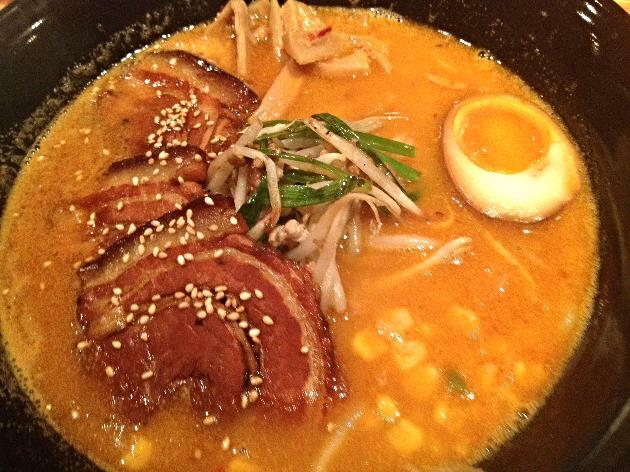 Not only was the broth so exquisite, soothing, aromatic, and downright wonderful, but the pork belly, was the best cooked pork I have devoured in a bowl of ramen ever. Dark, tender, and special. This bowl of ramen was heaven in my mouth. A late night bite I shall never forget. Meet me there some time, a magical bite awaits.